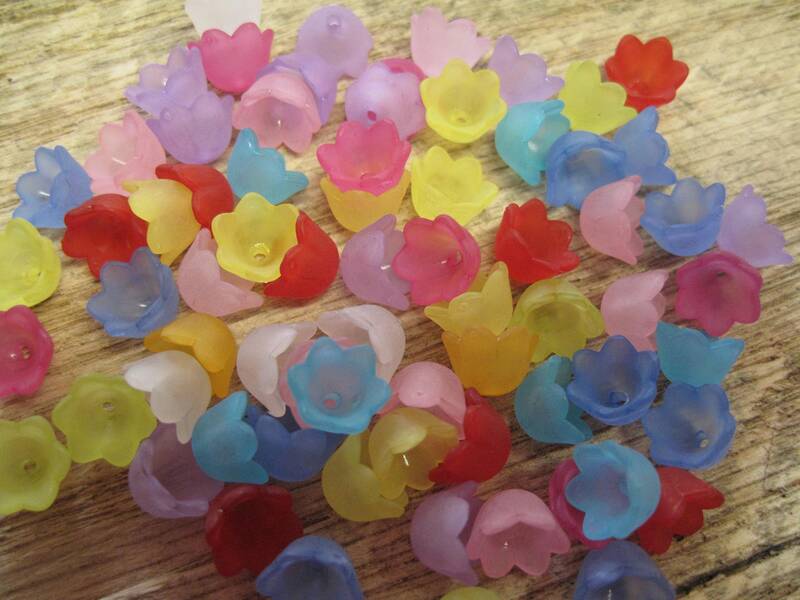 Pretty randomly mixed color tulip flower beads - includes aqua blue, purple, pink, yellow, red, fuchsia, orange red, lime, white. These little bells measure 10mm x 6mm with a 1mm hole. Great for your kids crafts - for floral themed jewelry making - necklaces, bracelets, earrings - and scrapbooking, fiber arts and more. View more plastic beads and glass beads in my Glass and Plastic beads section of the shop - https://www.etsy.com/shop/southpassbeads?section_id=10957246. Super cute! And the seller was kind enough to include some colors I especially needed. thank you!